We designed this for a client who had the idea of a green 1" Pinback Button, with a twitter hash tag #legendary.. Are you legendary? We think so! 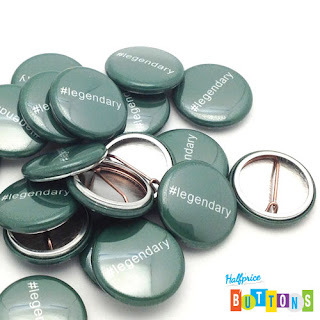 Our custom 1.75" buttons come in handy when you are helping get kids to their correct places. 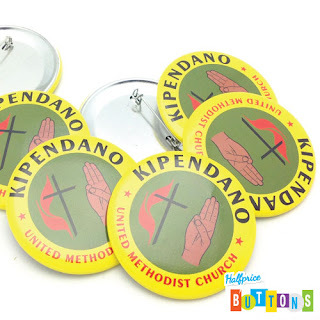 Whether they are riding the bus, or being picked up, these buttons will help you make sure your VBS kids get where they need to be. Let us customize a batch for your summer VBS program! Are you organizing a sorority event, and need to designate the members of your organization, as well as identify the leadership of you organization? 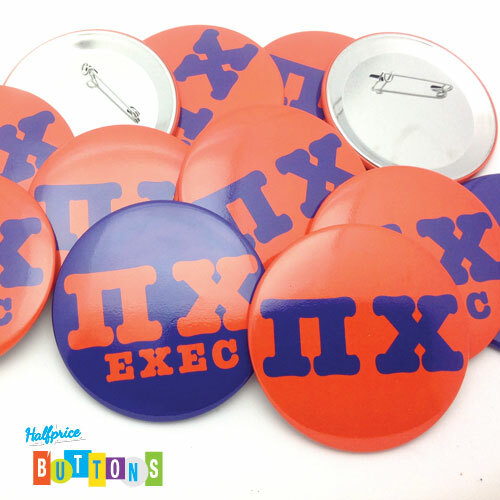 We can customize a sorority button for you, and take the hassle out of designing a custom button out of your hands. You'll maintain full creative control, and we will do all the work! Try our custom sorority buttons today. 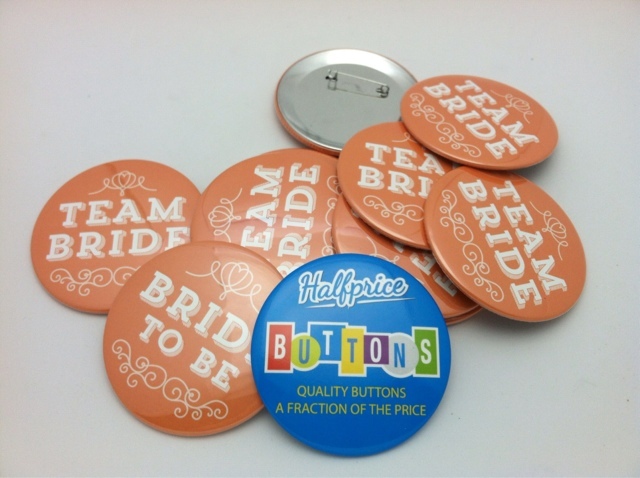 Are you in charge of logistics for an upcoming bridal shower? 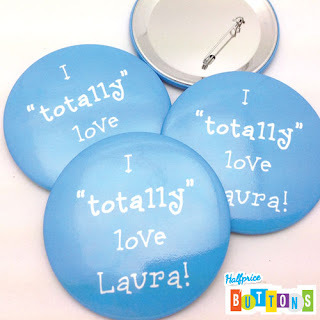 These cute 3" round pinback buttons can be worn out on the town to let everyone know that you are celebrating tonight!